With production underway on Jon Favreau's The Mandalorian, we're still largely in the dark about what it entails. Other than the casting of Pedro Pascal, Nick Nolte, and Gina Carano, details have remained pretty slim. We know it takes place between the events of Return of the Jedi and The Force Awakens, with Pascal as a lone Mandalorian gunfighter on the outer fringes of the Republic. But that's hardly a driving narrative, right? What is going to drive each episode and keep us coming back for more? So they don't outright say it's been influenced by Kazuo Koike and Goseki Kojima Lone Wolf and Cub, but the premise is damn similar. The manga series follows a shogun's executioner and master swordsman who is falsely accused of being a traitor and must go the way of the assassin. Along with his newborn son, they wander the country growing stronger as their desire for revenge burns greater. The samurai and Mandalorian are both warrior cultures built on strength and honor, and I see this story translating very well to Favreau's show if that is the plan. Anyway, none of this is confirmed and probably won't be any time soon. 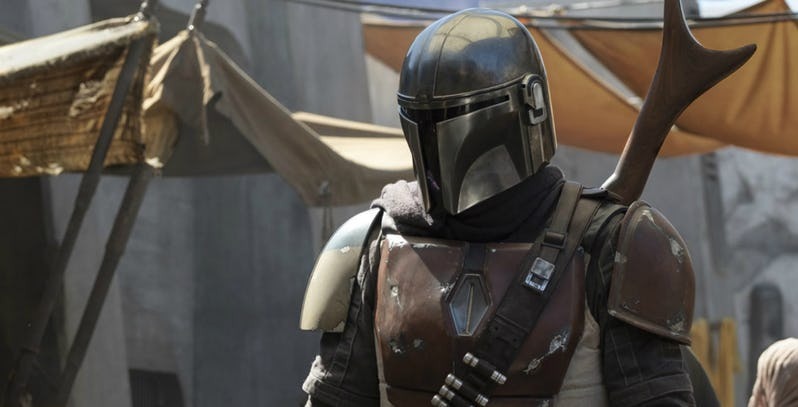 The Mandalorian should arrive next year with the launch of Disney+. Check out the series synopsis below.